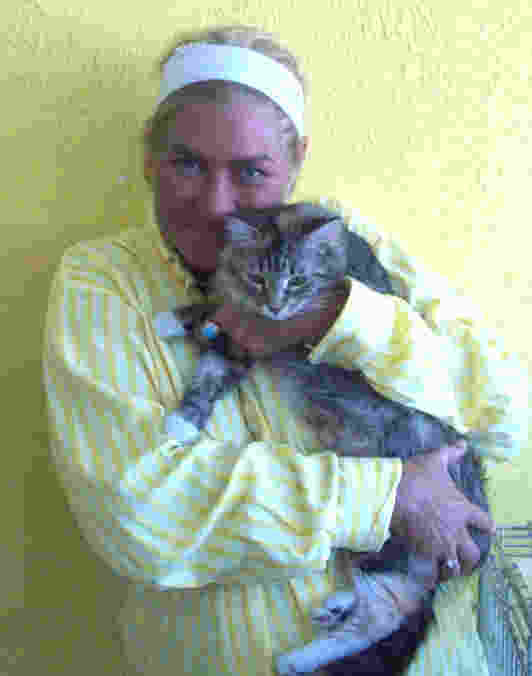 "For the Love of Animals"
PLEASE make a DONATION to help homeless animals TODAY! 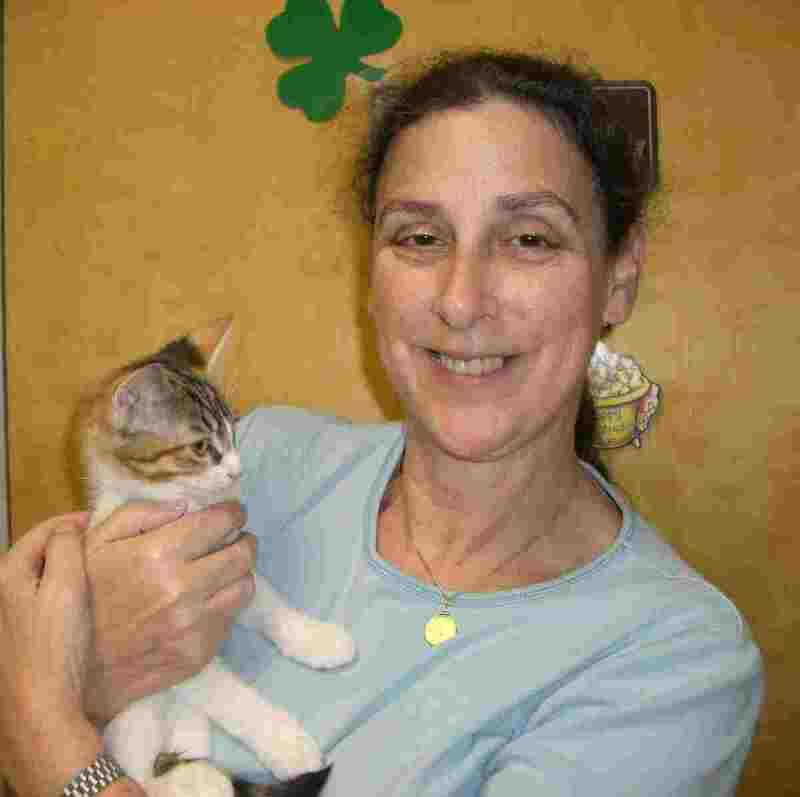 $20 Sterilization for cats of low income cat guardians. 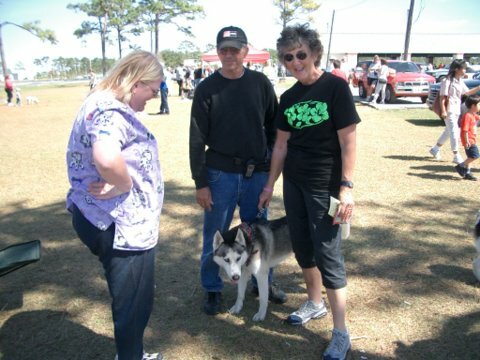 Fundraisers help Animal Guardians and homeless animals. Find out more and how you can help! You may need Adobe Acrobat Reader to download certain files. 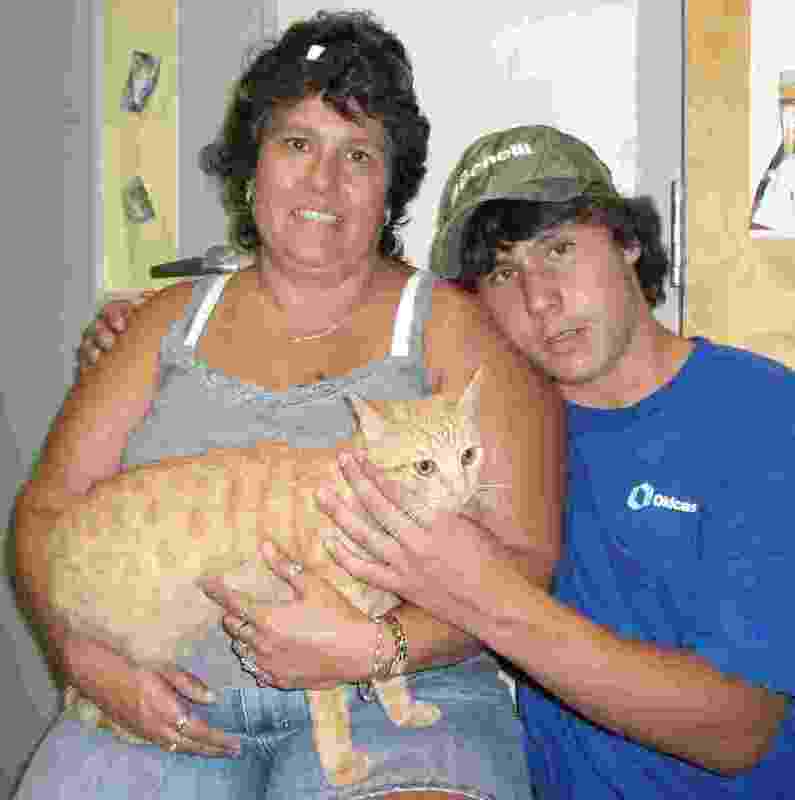 Animal Guardians of Brevard is sponsoring a low-cost cat sterilization program for low-income cat guardians at the SPCA of North Brevard in Titusville and the Brevard Spay Neuter Clinic (BSNC) in Melbourne. At the SPCA, cats will be sterilized for $20.00 which includes a rabies shot and distemper (FVRCP) shot for cats who need them. Payment is due when the appointment is made (to prevent no-shows). You will need to transport your cat(s) to the SPCA and pick him/her up when s/he is released. 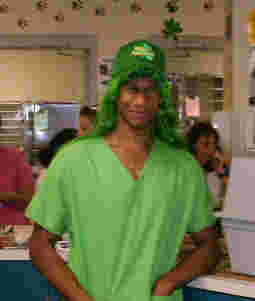 The SPCA will provide pre-operative instructions. The charge at BSNC is slightly higher at about $27 (please verify charges with them when you make an appointment). At either clinic clients will be responsible for any additional charges for services requested or deemed necessary by the vet (which is very uncommon). For more information or to make an appointment please contact us. Please click here for an application. FEBRUARY IS DESIGNATED PREVENT A LITTER MONTH, but please consider EVERY month PREVENT A LITTER MONTH . Let's acknowledge its importance by spaying and neutering ALL pets, and encouraging friends, family, and neighbors to do the same. Even better: Also help a stray pet in your neighborhood get fixed. 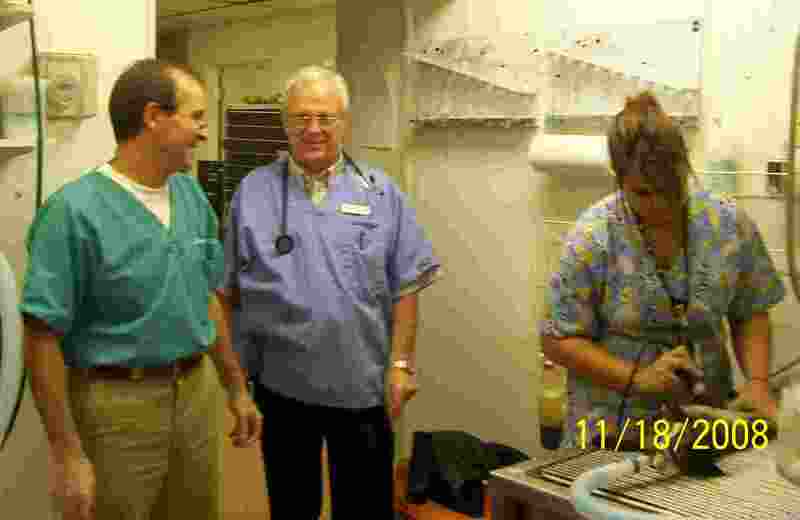 Dr. Connie Mengering at Brevard Community Animal Hospital and Dr. Arden Larson sterilized 11 cats at a special clinic. 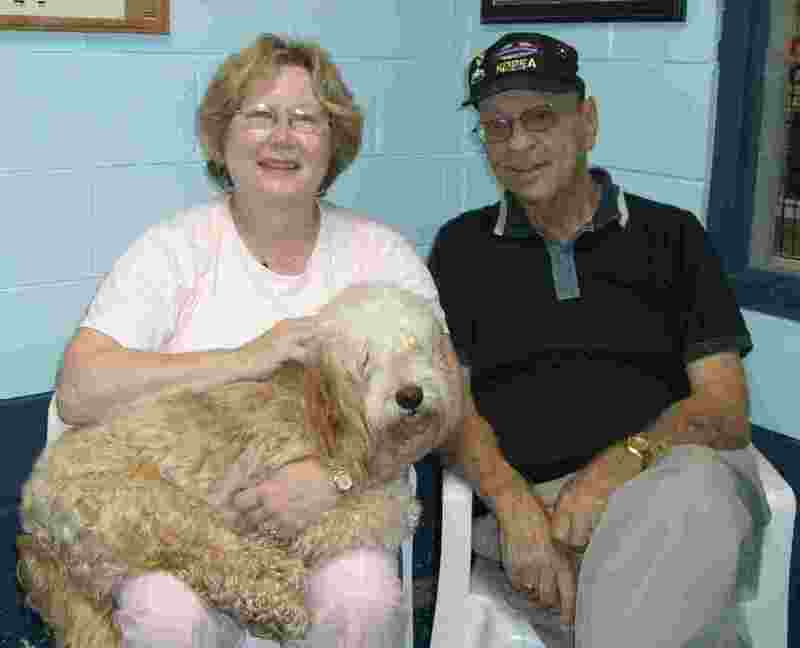 Thanks to them and to vet tech Gwen Thompson and volunteer Pat Wright or their hard work and dedication. Thirty-three cats and thirty-one dogs got to go "Home for the Holidays." 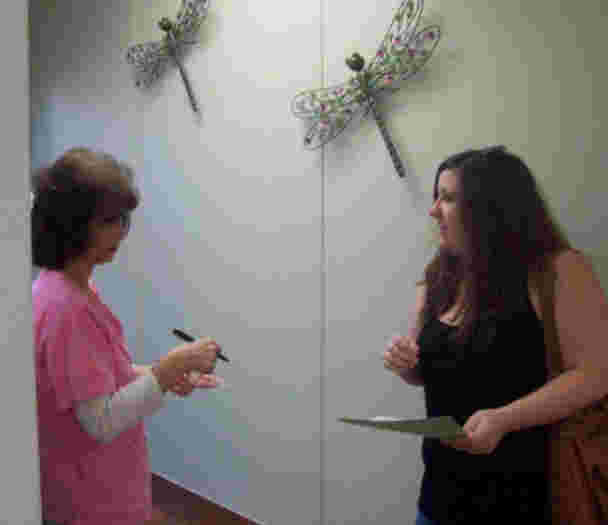 Animal Guardians of Brevard a neuter clinic at the S.P.C.A of North Brevard in Titusville . Sixty-four cats were neutered for just $5.00 each. 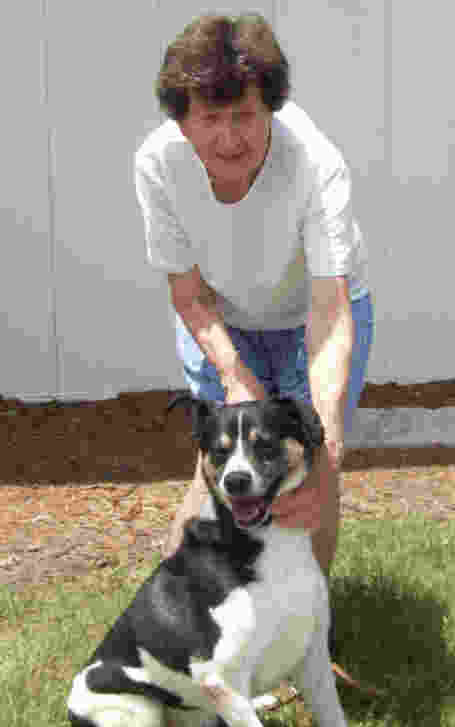 Personnel from the S.P.C.A., Animal Guardians of Brevard, Aloha Pet and Bird Hospital , and Brevard Community Animal Hospital volunteered to make this joint effort a success. 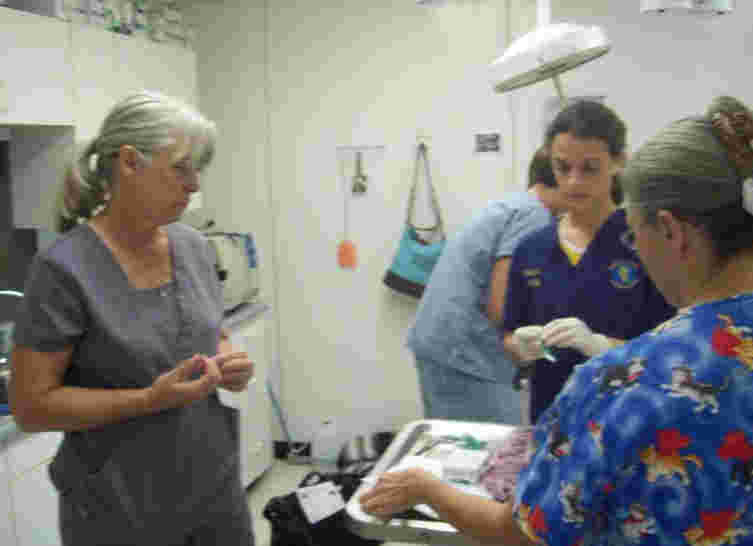 Volunteers included Connie Mengering, DVM, Jose Pepen, DVM, Dan Pepen, DVM, and Danielle Becton, DVM, Linda Pepen, Mary E. Peer, Susan Stitsel, Gwen Thompson, Dennis L. Peer, Melody Basye-Allgaier, and Cecilia Lascody. Sincerest thanks to the S.P.C.A. 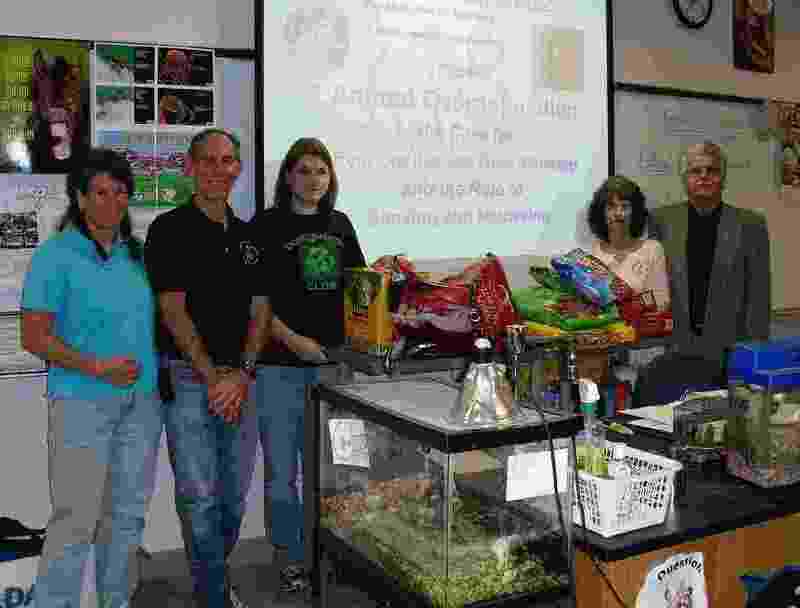 staff, including Angela Dean, Janie Frank, Amy Okrasinski, and Pat Allred. 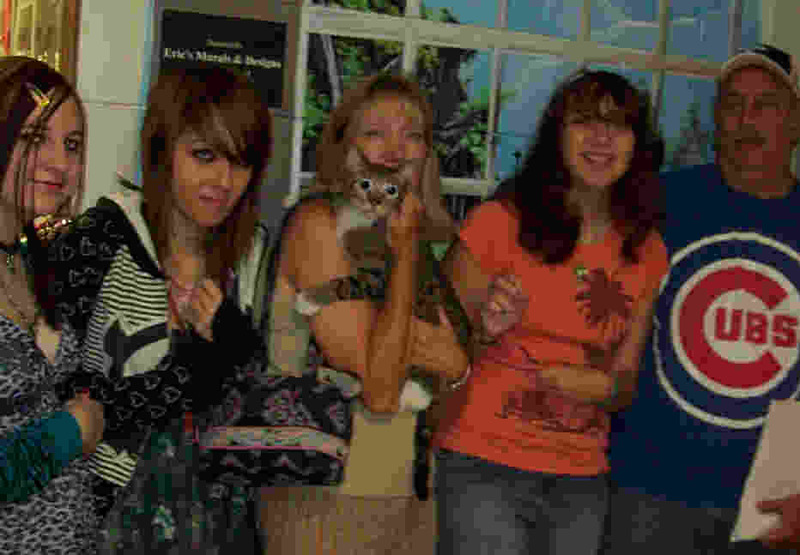 On Sunday Oct 17, Animal Guardians of Brevard held a feline spay-neuter clinic at Suntree Animal Clinic. 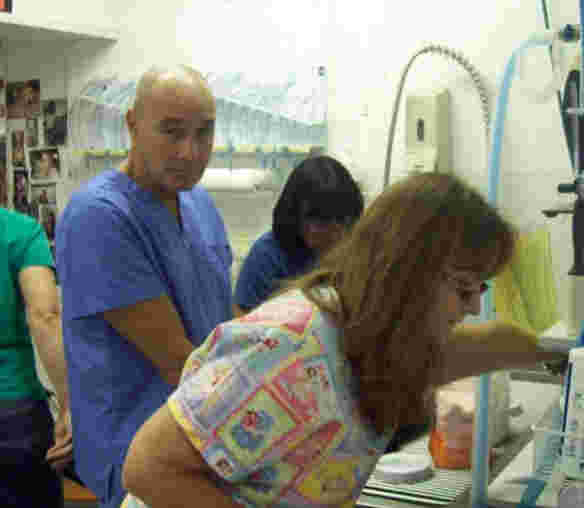 Thirteen female and 17 male cats were sterilized. 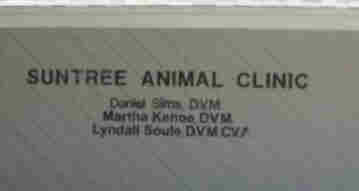 Thanks to veterinarians Daniel Sims,DVM & Marth Kehoe DVM, and to the staff at Suntree: Sandi Kempfer, Michelle Moore, Susan Lynch, and Heather Silvers. Thanks also to generous volunteers Kathy Leonard, Cindy Harrowsmith, and Nancy Mellor. 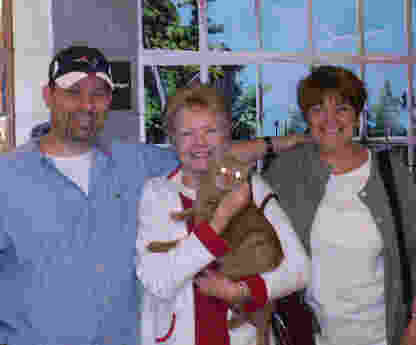 A great day with 30 dogs and 22 cats finding new homes, including Helen and Jerry with Kodak(l), and Doug and Brie with their new fur-kids (r). Several cats (and some dogs, too) got lucky and found new homes. Chris gets lucky. Five cats and dogs will start new lives through the kindness of their new guardians. 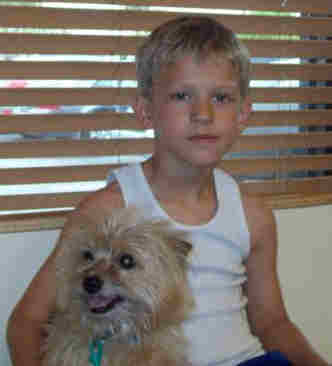 A Boy and his Dog.... Twelve cats and 9 dogs went to their forever homes today. Dave and Darlene with the two new kids. 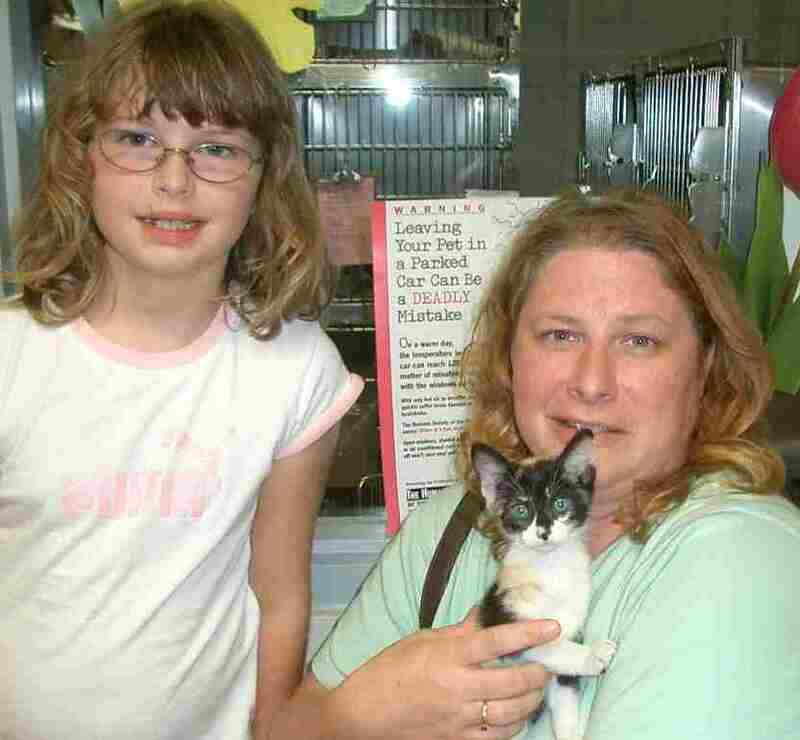 Thirteen cats and 9 dogs found new homes. Hailey gets ready to start life with a new companion. 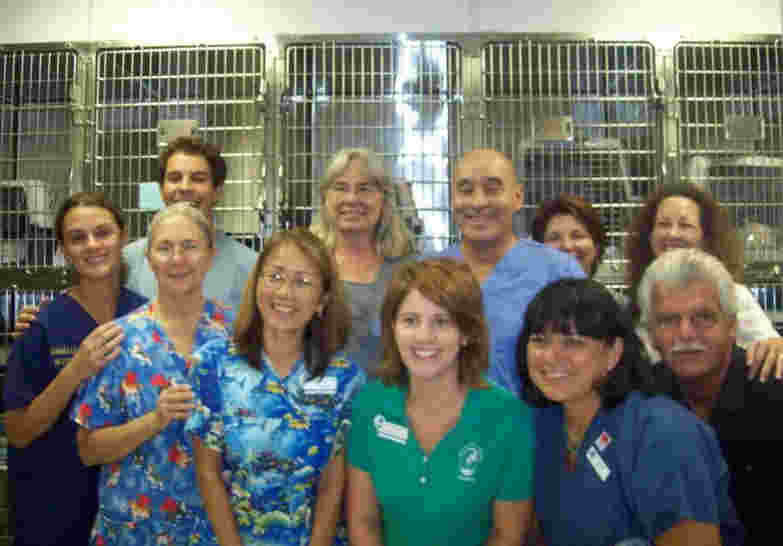 Twenty-nine cats and 16 dogs found love today. Devin enjoys a moment in front of Aloha before going home with Bonnie. Twenty-one cats, 18 dogs, and 1 rabbit went home for the holidays. Six cats, 8 dogs, and 4 hamsters went to new homes. Seven cats and 1 dog found homes. Fourteen cats, 6 dogs, and 1 rat found homes. 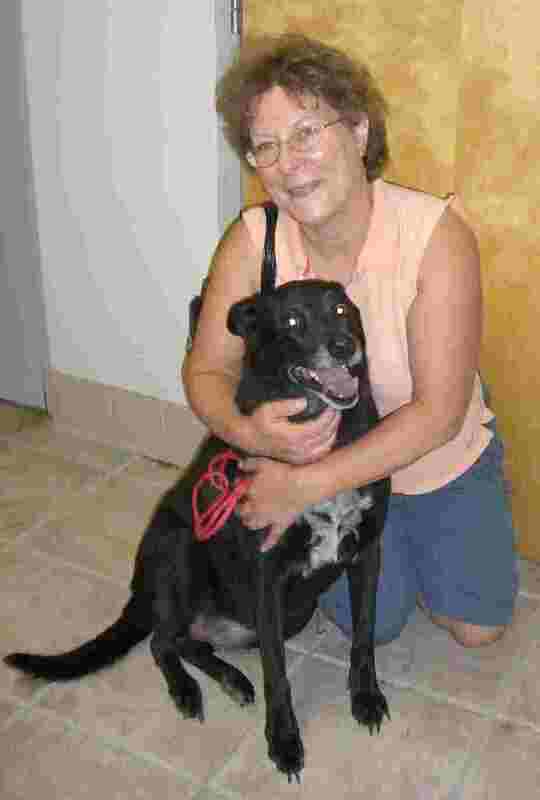 George poses with his new mom. 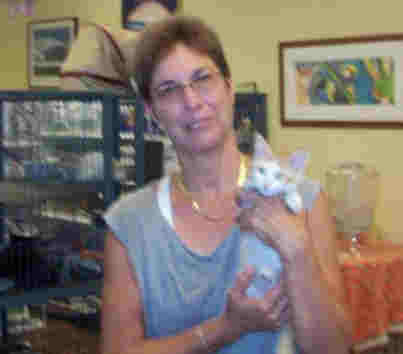 Eleven cats and 6 dogs went to lifetime, loving homes. 3 dogs, 8 cats and 1 rat found new homes. 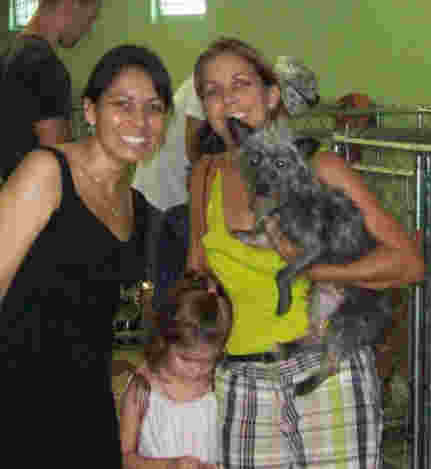 Michele & Mia (with Anna Florez, founder of Daisy’s Place) gave a dog the loving, lifetime home he deserves. 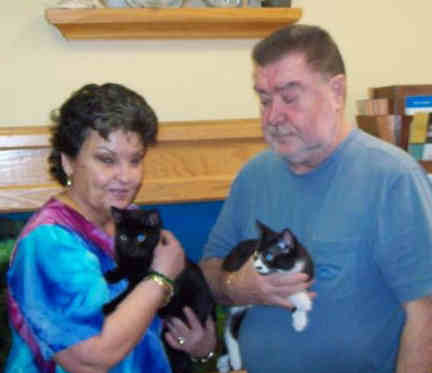 Arthur (black cat) and Patches (gray cat) also found new forever homes.9 cats and 3 dogs found new, forever homes. 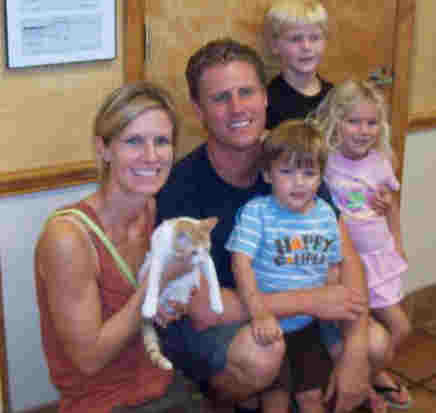 Kent , the cat, was adopted by John & Alex. 11 cats & 2 rats went to their forever homes. 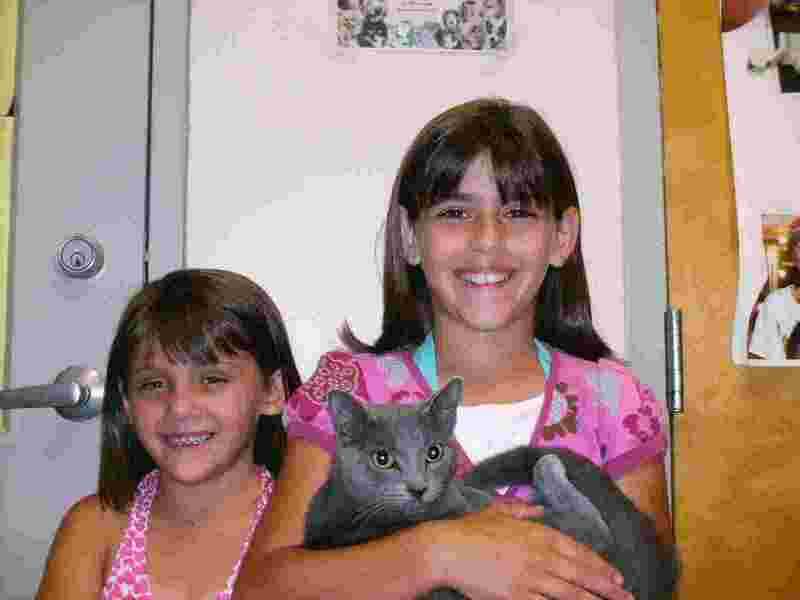 Stewie was adopted by John & Jackie Torres. 4 dogs went to their forever homes. Ten cats went to new homes. 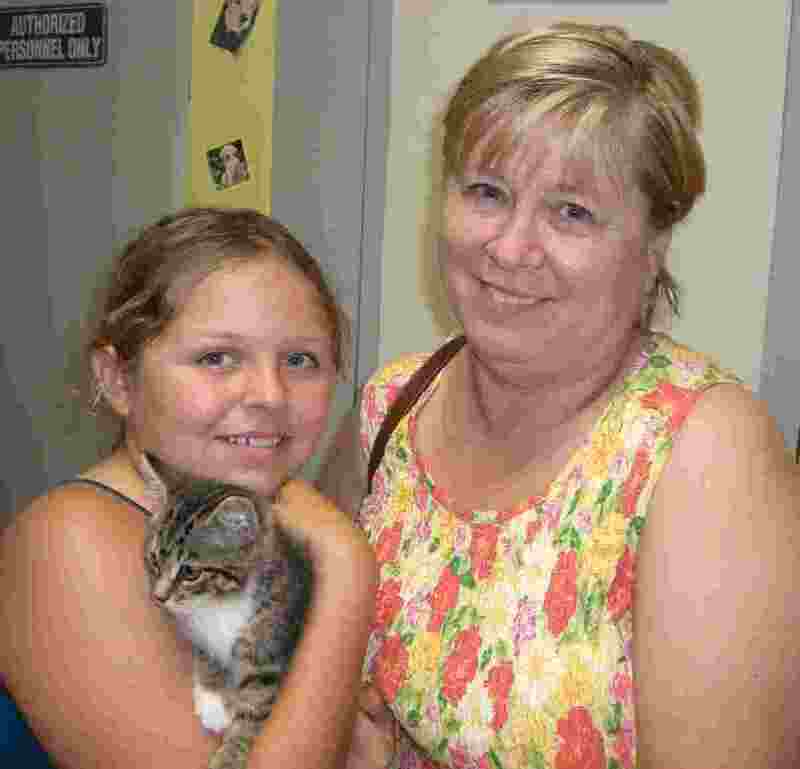 Sarah and Meechie went home with Doreen and Sylvia. 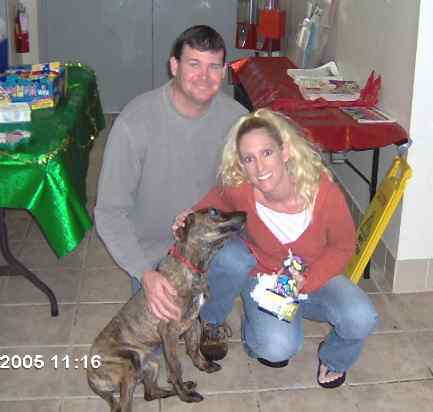 Tara and Haile (with Tammy) adopted Honey. Four dogs found new homes. 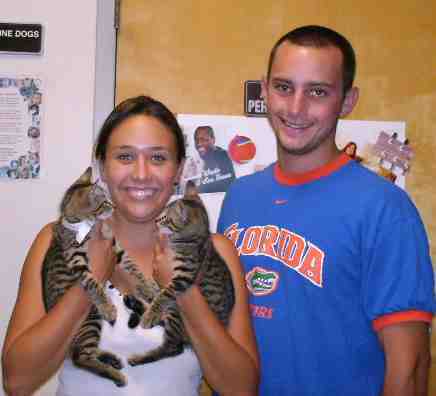 26 cats found new homes for life. Terri, Paige, and Ian took Grant home. 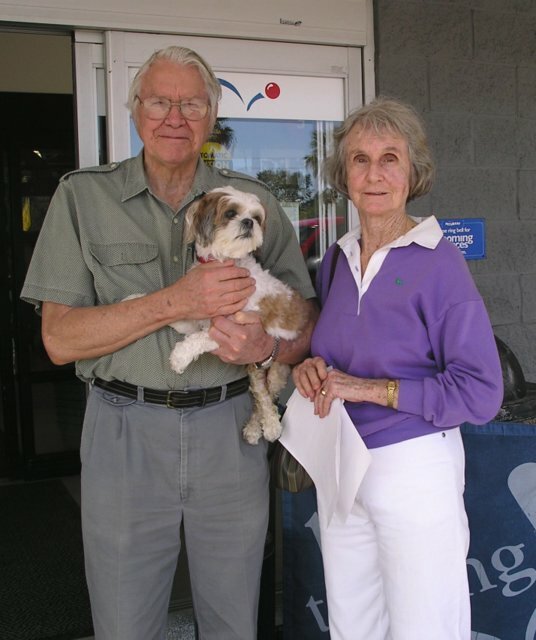 13 dogs went to lifetime, loving homes. 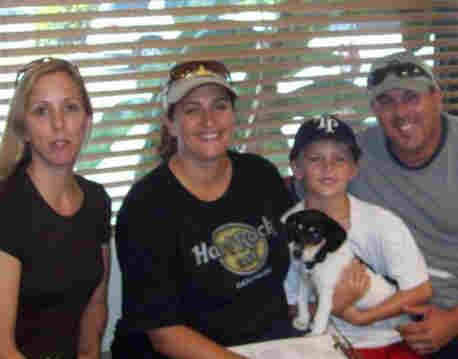 Mary, Sharon, and Scott adopted Michael. 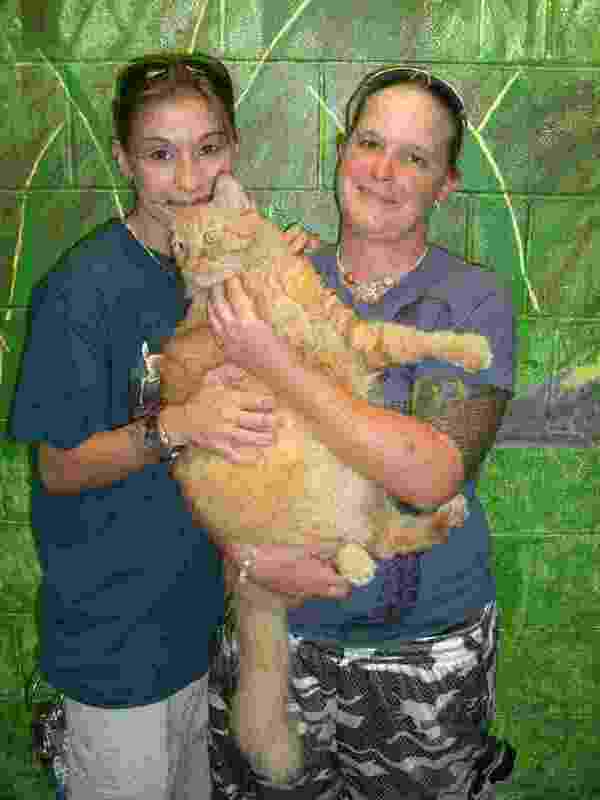 Ann and Bill Williams give a second chance to Simba, a 12-year-old cat. 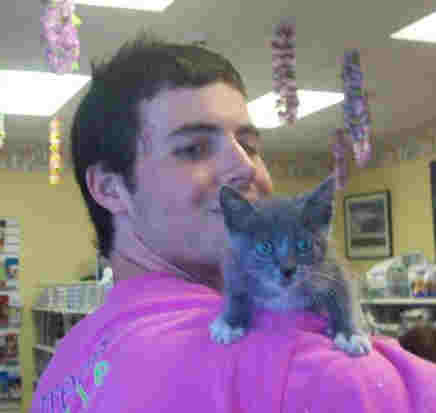 Ten cats and 11 dogs were adopted. 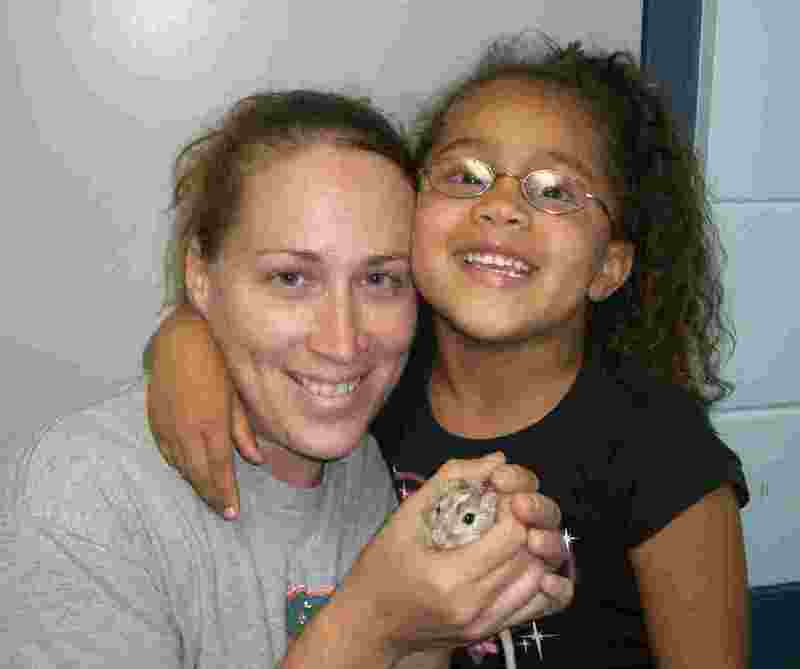 Abby holds Christina's new little brother, a gerbil. Two rabbits and a ferret also got adopted. 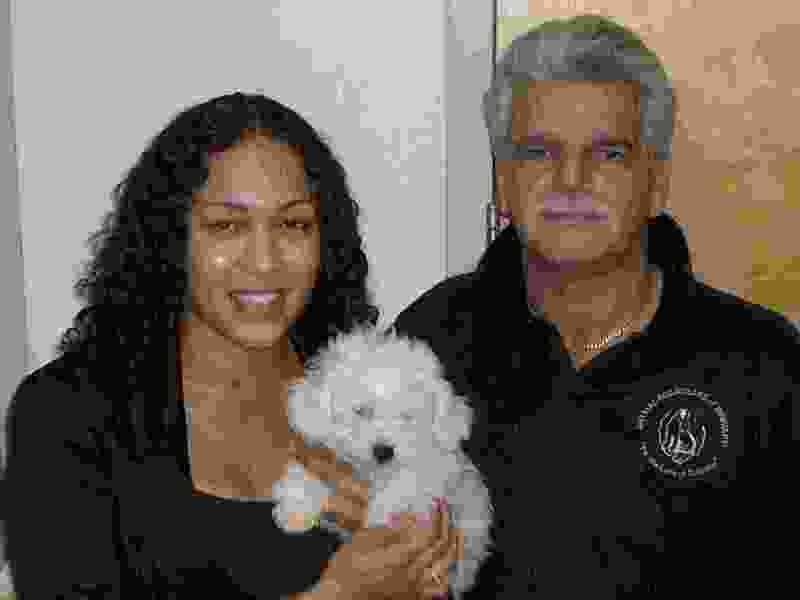 Dr. Haney and Dr. Curry with Danielle Peabody, Vet Tech. Sixty-one cats were neutered for just five cents each! Special thanks to the SPCA for GREAT JOB! A tiny, little dog starts a big, new life with his new family. Ten dogs an 16 cats found new homes. 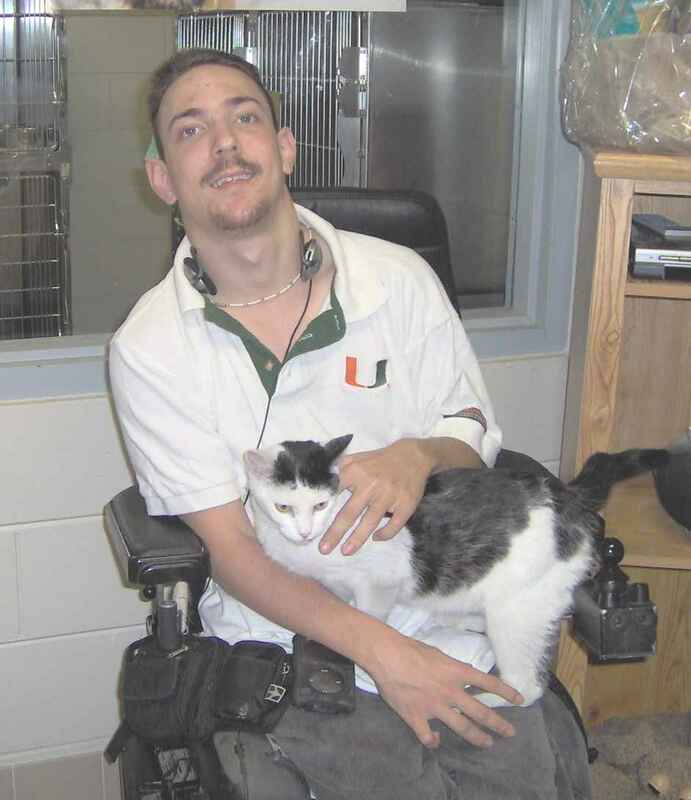 Ten cats, eight dogs, and an iguana all found new homes. 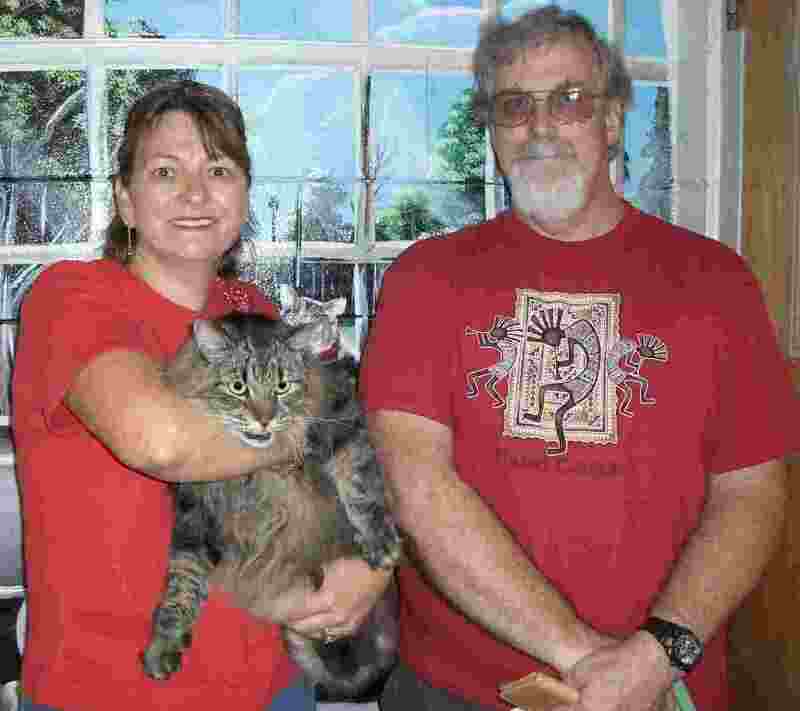 Two lucky cats get a new home. 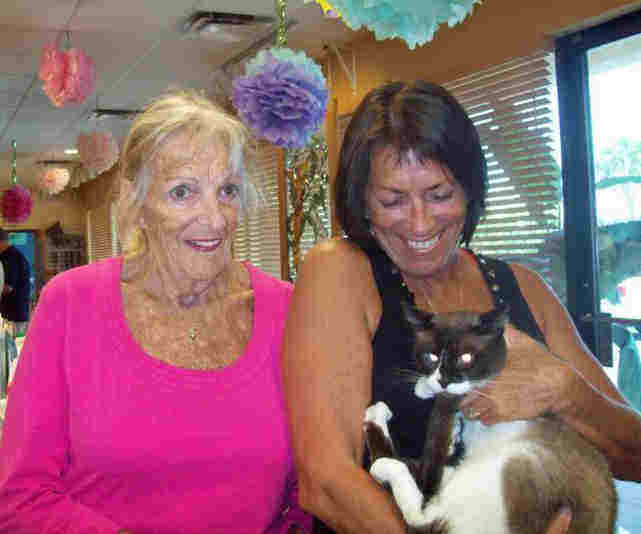 Twelve cats were adopted at this event. 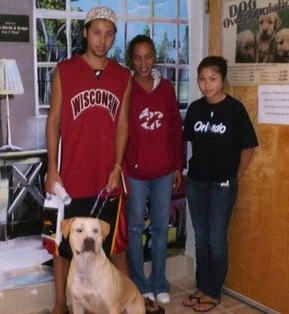 A dog with his new family. Ten dogs, a rabbit, and a parakeet found new homes. 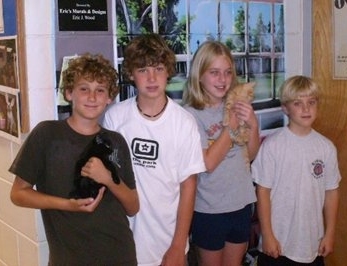 Jake, Zack, and their parents with Precious, an eight-year-old cat they adopted. 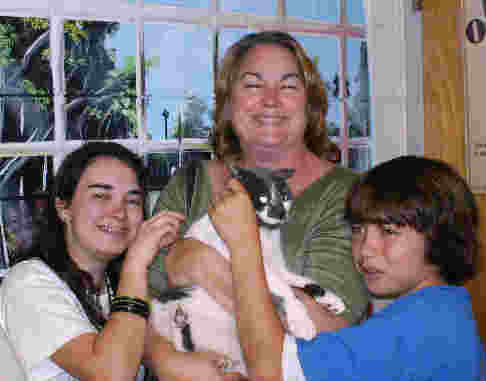 Twenty cats found new homes. Jordan and Camryn adopted Elana. Ten dogs and two ferrets also found new homes. 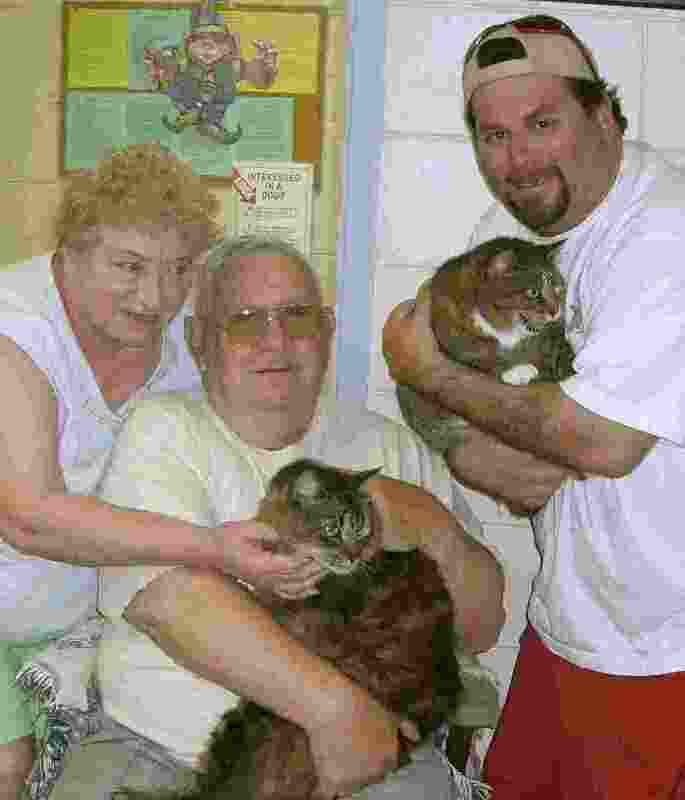 Linda and Brandon Eckhoff with Mr. Morris, one of two cats they adopted. 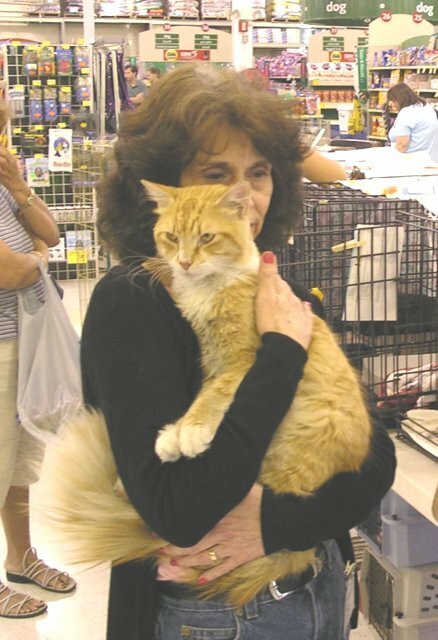 The event found homes for 31 cats. 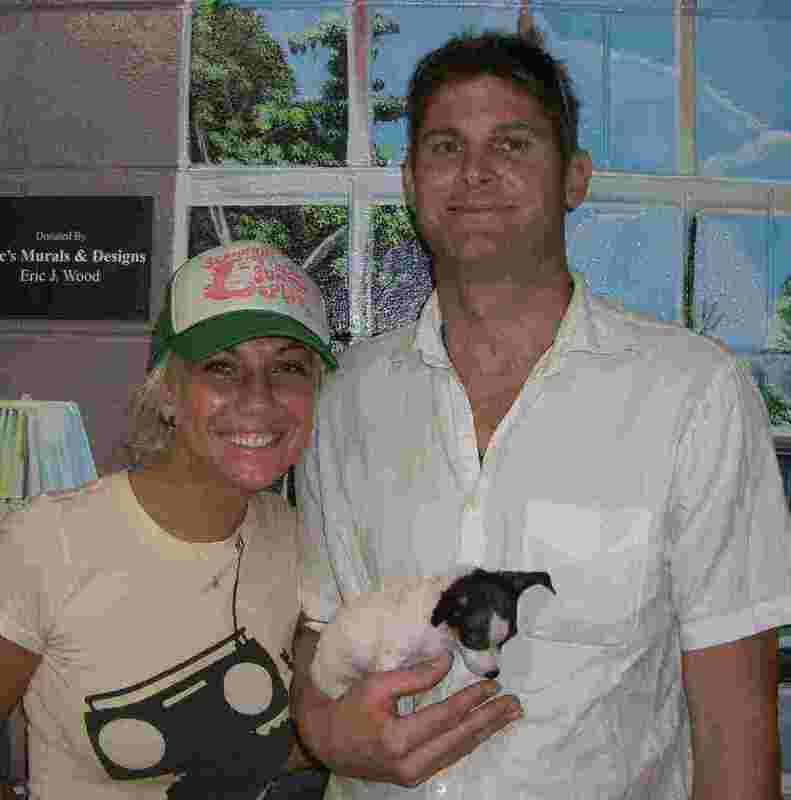 Chelsea Calwell and John Flynn hold their two new fur-babies. 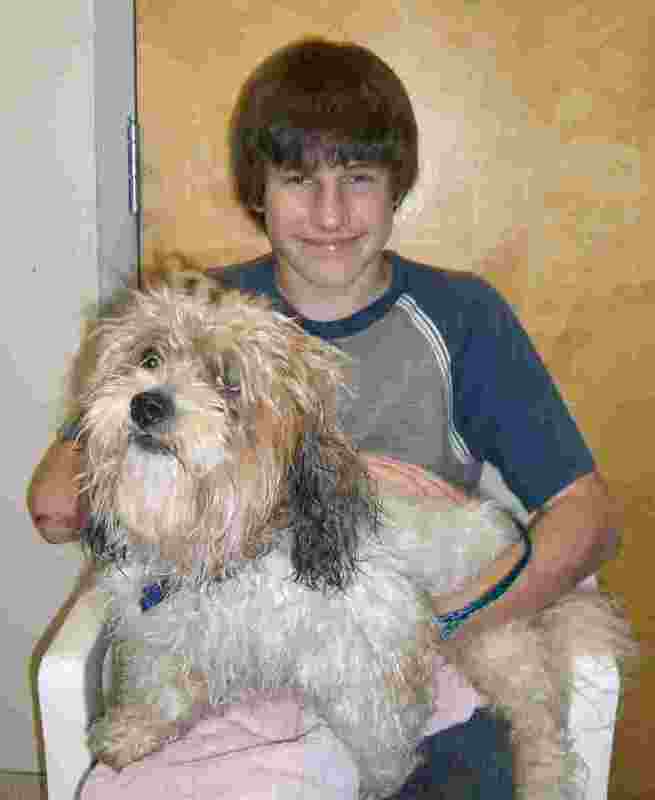 The event also found homes for 14 dogs. 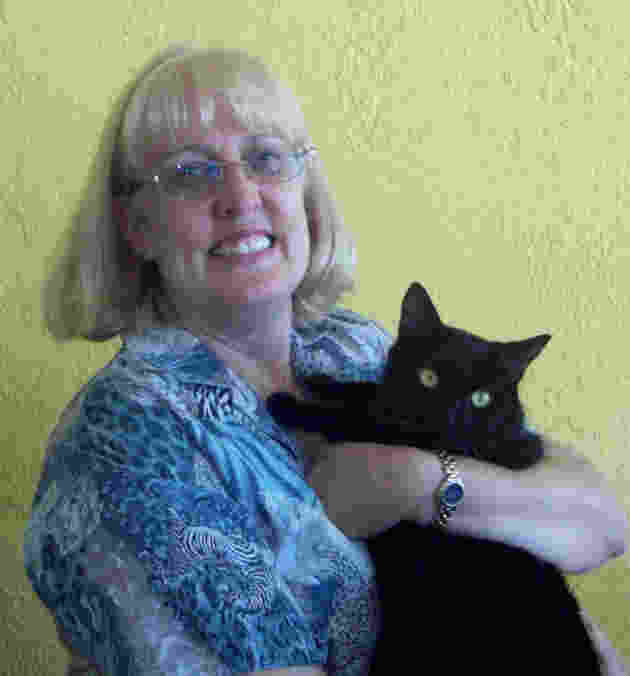 Krysten Wolack and Barbara Grooms with Slots, their new Fur-ever friend. 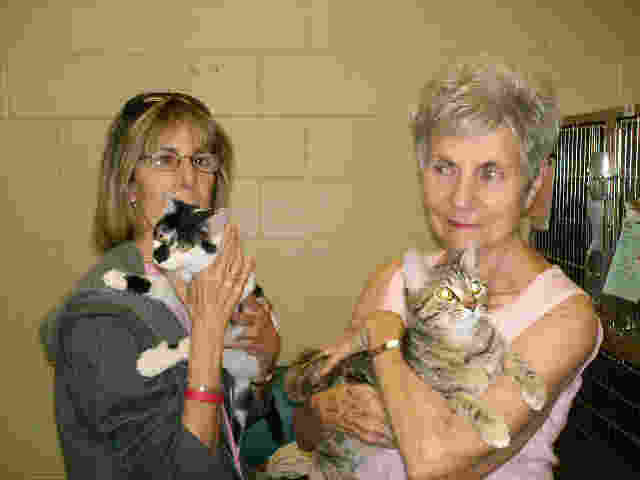 The event found homes for 22 cats. Bob and Christine McMurtrie hold Barney, their new best friend. The event found homes for 5 dogs. 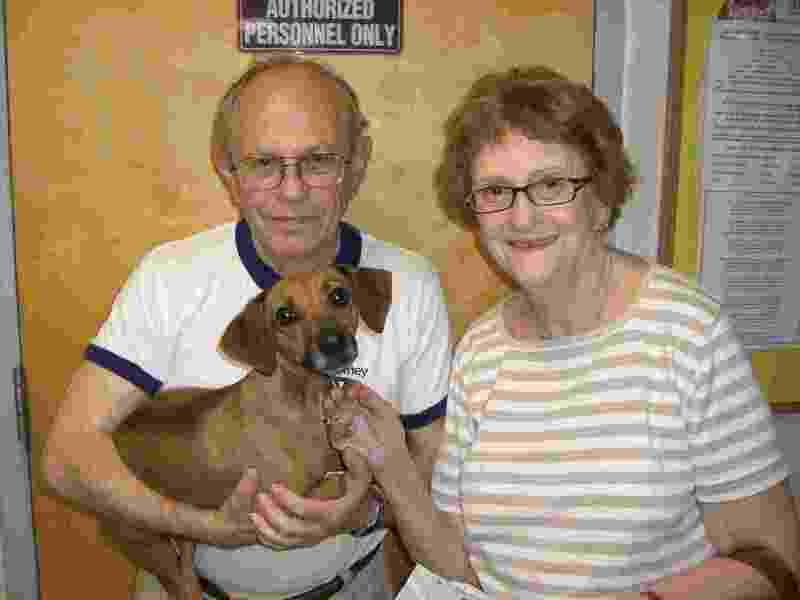 Twenty-one dogs, sixteen cats, and a hedgehog all found new homes. 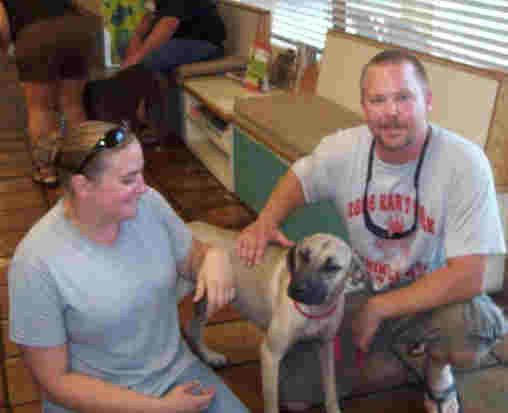 Lisa and Brian Spivey sit with Honey, their new best friend. 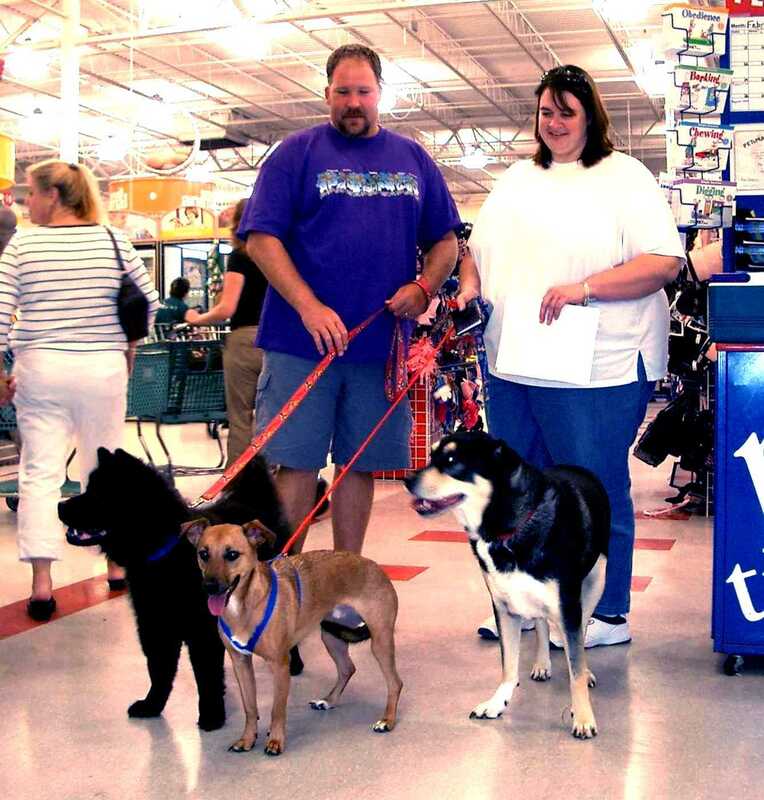 The successful event found new homes for 11 dogs. Gale Carter holds Cupcake, her new fur-ever friend. 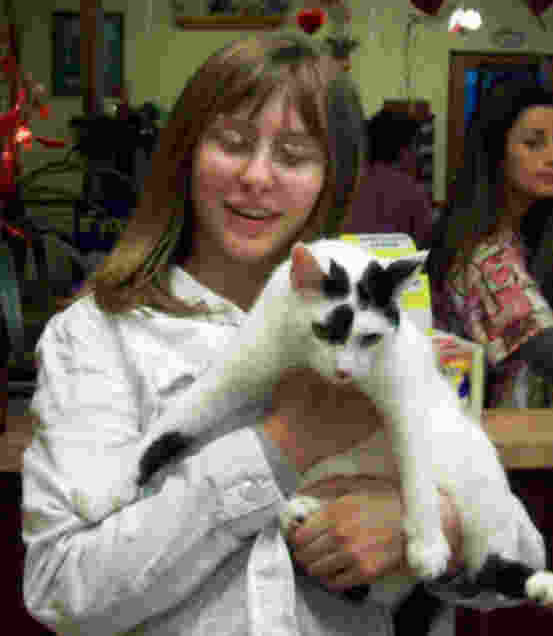 The successful event found new homes for 23 cats. 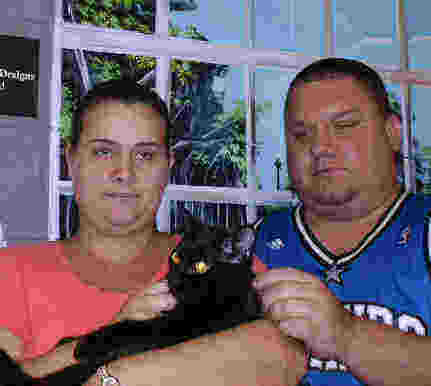 Jacob Mathis, Rachel Keene, Sherri Mathis, and Brian Marino almost double the size of their family with the adoption of cats Emma, Bandit, and Terrence. 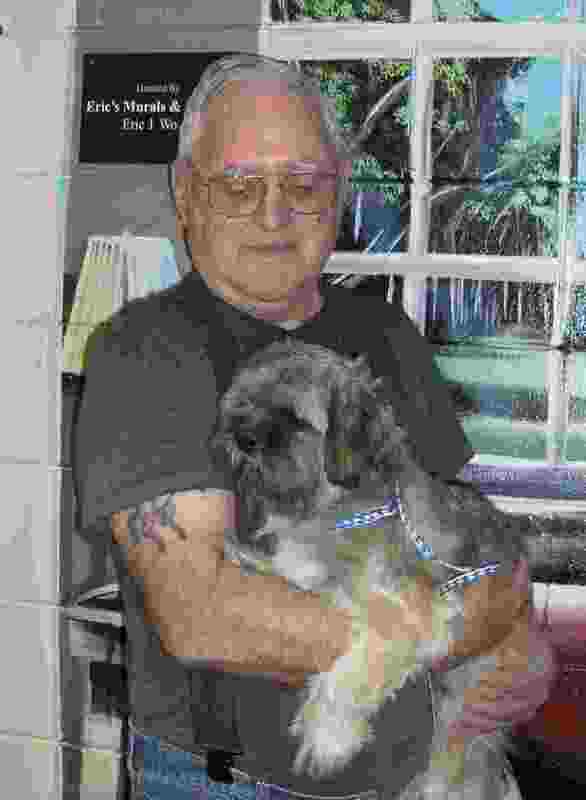 Donald Fulcher holds Puddles, his new best buddy. This successful event found new homes for 40 animals. 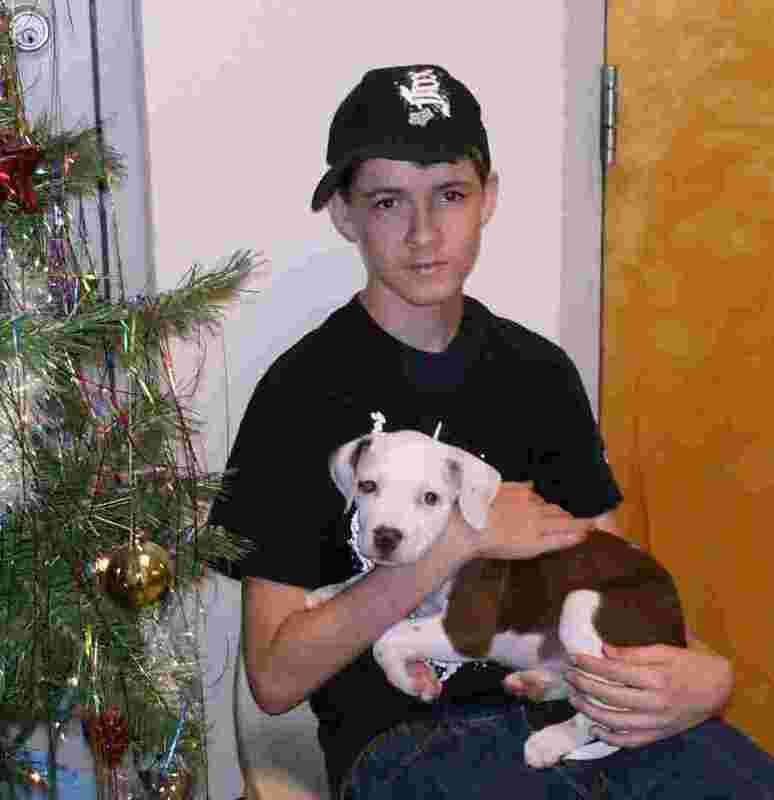 Cole sits with his adorable new puppy. At this successful event, a total of 21 cats, 16 dogs, 1 rabbit, and 2 iguanas got to go "home for the holidays" to the loving, lifetime homes they deserve. Julie Garces and Zoe Reiss hold Big Bear. 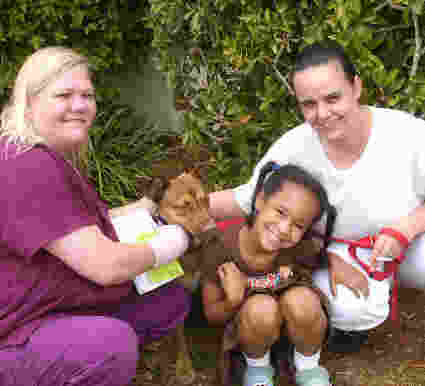 Twenty animals found new homes. 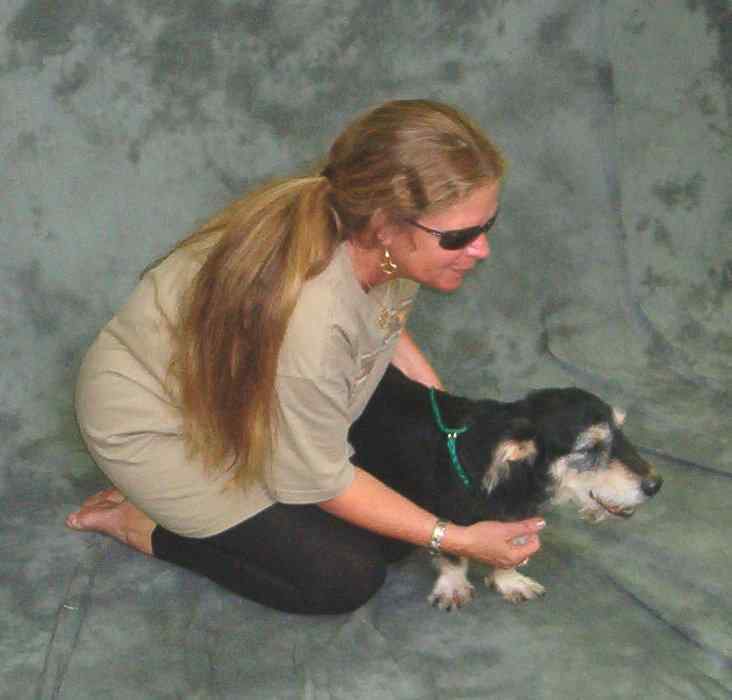 Linda Monfredo holds Lucy, a senior dog she adopted. 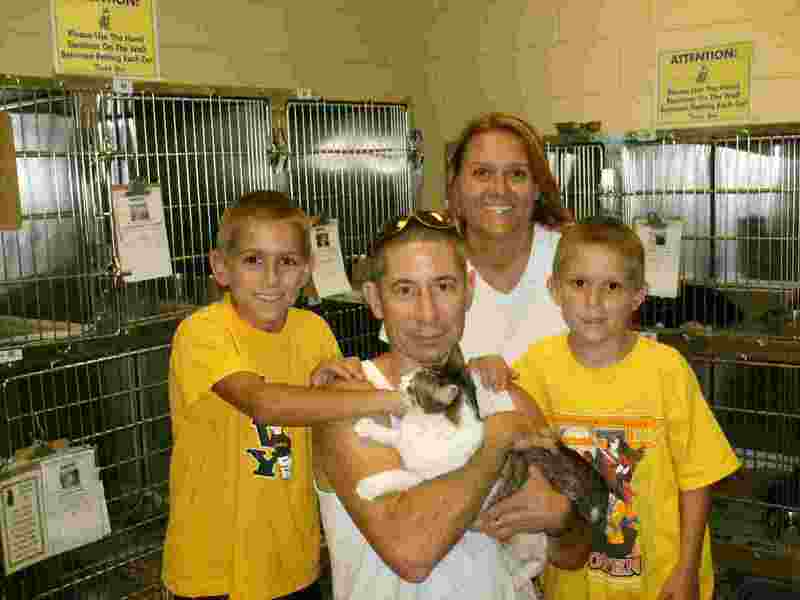 Nine cats, 8 dogs, 2 rabbits, and a guinea pig found homes. Thirty-three dogs and twenty cats found new homes! That is a record for one event! Steve Greenacre with Speckles and Zeus. 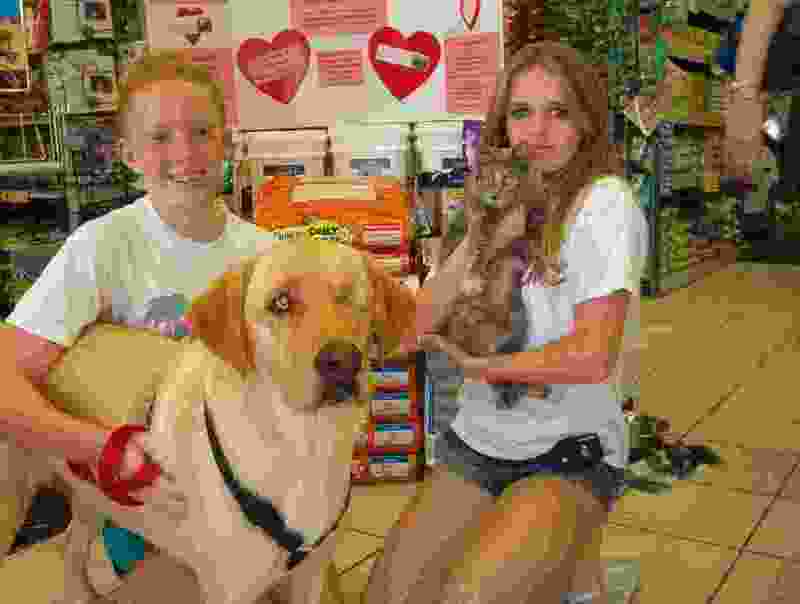 The successful event found new homes for 17 cats 19 and dogs. 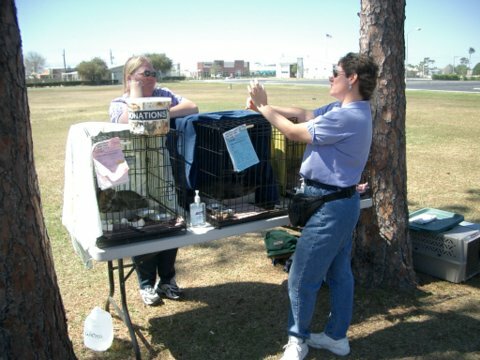 "25 CENT SPAY YOUR CAT EVENT": Sponsored by Animal Guardians of Brevard took place at the SPCA of North Brevard in Titusville on March 30, 2007. 20 cats were spayed. 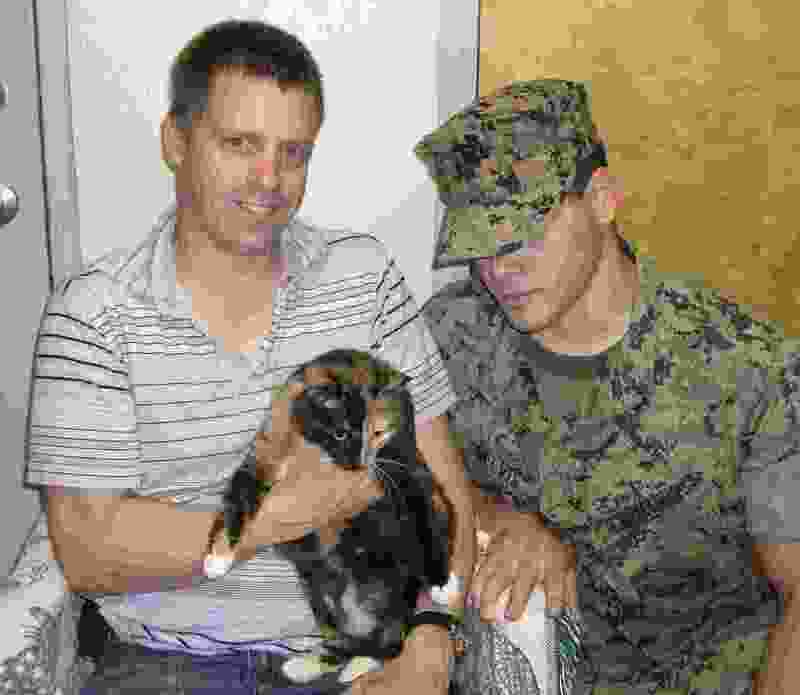 Jonathan Scott holds his new friend Heidi with Fernando Velazquez. Thirty-six animals found new homes. Melissa Rowlett holds her new best friend with Dennis Peer. 18 cats, 17 dogs, and a ferret got lucky. Robert Ward holds his new best friend, Hulk. New homes were found for 10 cats and 21 dogs Georgina Younger, Charles Younger, and Greg Shore gave senior cats Simba and Nala a new lease on life. 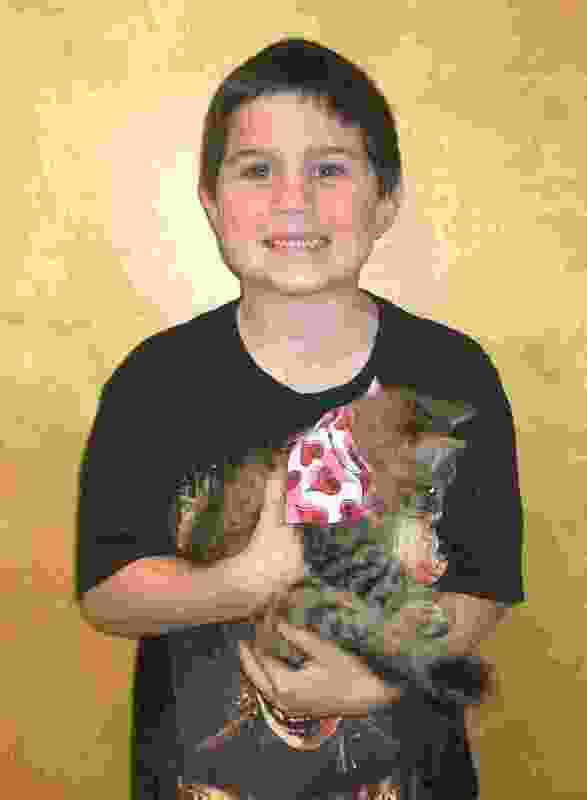 Chester Bombriant holds his new little "sister," a kitten. 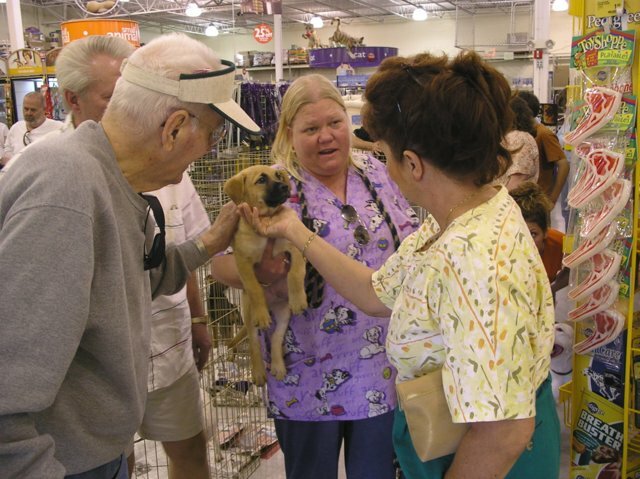 The event was a big success with 22 cats, 16 dogs, and 1 rabbit finding homes. Volunteer Christina Nestor (r.) and employee Kim Pundai (l.) prepare Buddy, Ronnie, and other dogs adoption Fifteen dogs and eleven cats found new homes but the facility remains seriously overcrowded with hundreds more homeless animals. 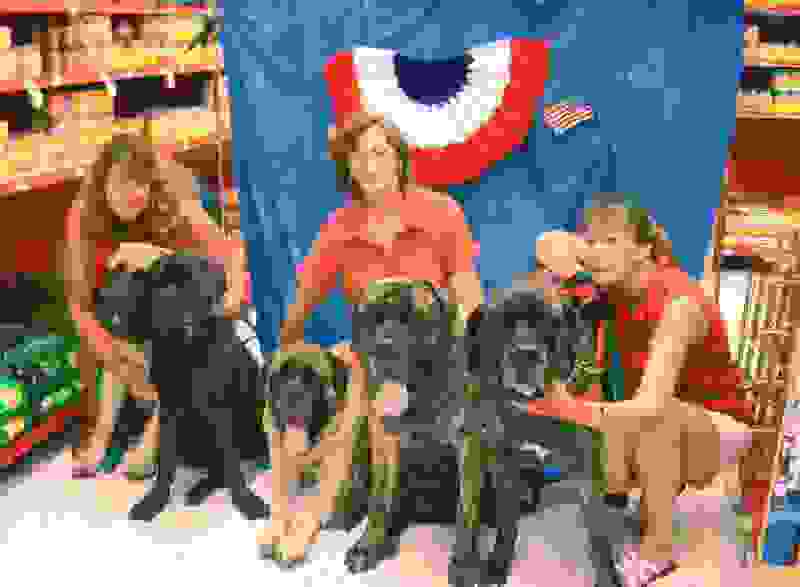 Tracy Eberhardt, June Tedder, and Melody Gibson (l. to r.) were photographed with Tuck, Mary, Reggie, Deuce, and Maxi. Special thanks to Southern Photo Supply for generously donating their services. Justin Echols and his new friend, Shania, get acquainted at the event. 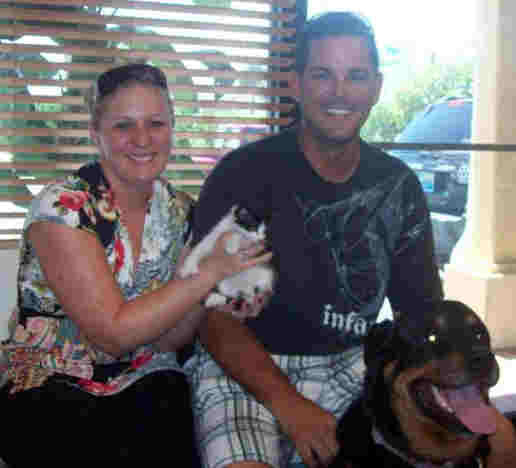 A total of 17 cats and 10 dogs were adopted at the special event. Peanut joins his new family: Cleopatra, Peanut, and Griffin (l to r, front), with Roger and Rena in back. Maggie and her new family. 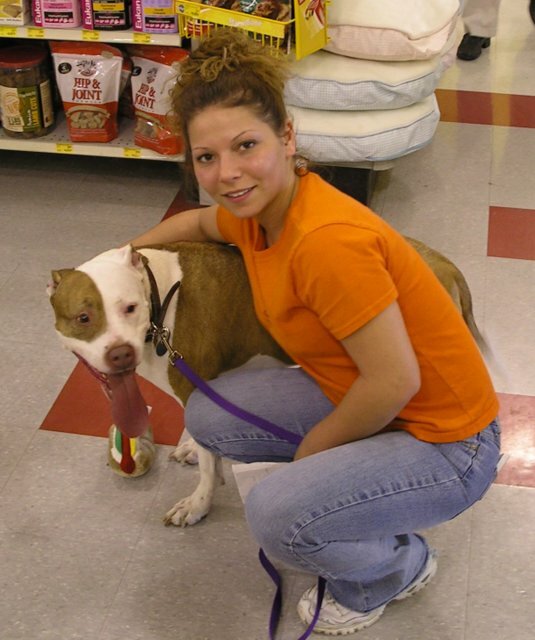 Michele holds Grover, a 13 year old deaf dog who she adopted. 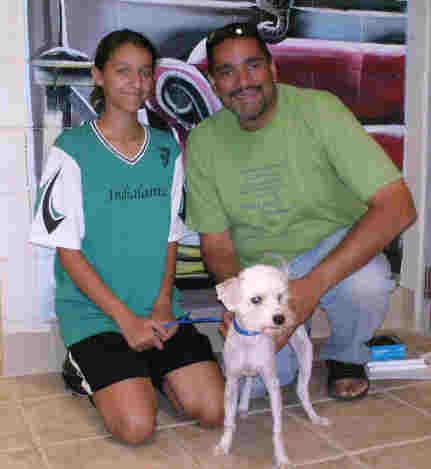 TWENTY-ONE CATS AND DOGS FOUND NEW HOMES!! !